Born at Glenholme, Nova Scotia on 27 November 1865, he married Harriet Mary Teasdale (1864-1947), the daughter of a well-known Methodist minister J. J. Teasdale, in 1889. The couple had four sons, two of whom went into the ministry: Rev. John T. Flemming, Lloyd Mylne Flemming (1891-? ), Rev. Horace Flemming (1893-? ), William H. Flemming (1899-? ), and a daughter Helen M. Flemming (1896-?, wife of K. W. Gordon). Two of his sons served overseas during the First World War, the eldest dying there. He graduated from Dalhousie University (Arts degree) at Halifax, Nova Scotia and from Queen’s University at Kingston, Ontario, took postgraduate work at a theological seminary in Chicago, Illinois, and later earned his Doctorate of Divinity (1937) from Pine Hill Divinity College at Halifax. He became a church pastor in Ontario, at Toledo and Harrowsmith, before moving west in 1899. He settled his family at what is now South Edmonton, Alberta and was Minister of Knox Presbyterian Church (1899-1908) in Strathcona before moving to Manitoba, where he took charge at a church in Dauphin (1908-1916) and was also President of the Dauphin Hospital Board. 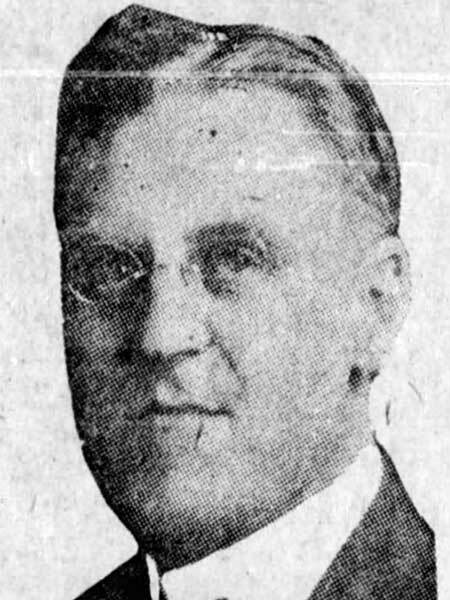 From Dauphin, he moved to Winnipeg to become Minister at Riverview Presbyterian Church / Riverview United Church (1916-1928), after which he departed for a similar role at Morden. He partially retired in 1933 but soon became an Associate Minister at the Crescent-Fort Rouge United Church in charge of its Harrow Street Mission, and an Assistant Minister at Augustine United Church and Westminster United Church (1936-1941). He died at his Winnipeg home, Suite 23C in Riverview Mansions, on 21 June 1941 and was buried in the Dauphin Cemetery. “Who is your neighbor's minister?,” Winnipeg Tribune, 9 December 1916, page 21. “Dr. David Flemming, pioneer pastor, dies,” Winnipeg Tribune, 23 June 1941, page 20. “Service is held for Dr. Flemming,” Winnipeg Free Press, 24 June 1941, page 2. “Rev. David Flemming dies in Winnipeg,” Ottawa Journal, 24 June 1941, page 3. “Mrs. D. Flemming dies, age 82,” Winnipeg Free Press, 10 April 1947, page 19.